We recently had my parent’s over to celebrate my Mom’s birthday. She had only requested fish, but beyond that I was free to create the menu as I chose. I knew right away that my main course would be salmon. 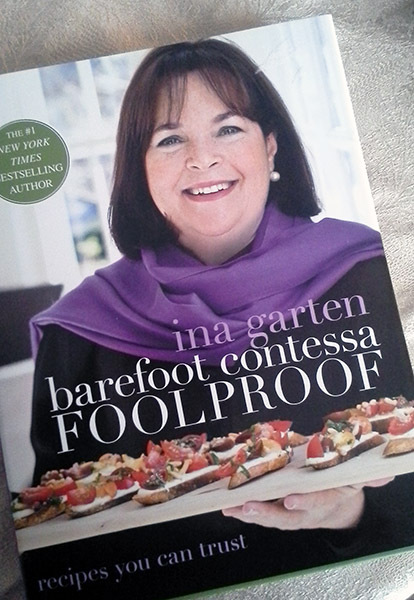 For Christmas my husband had given me the newest Barefoot Contessa cookbook, Foolproof. In it she has a recipe called “hot smoked salmon” which I had tried recently. It is delicious! I knew it would be a hit. The salmon recipe is just the right balance between sweet and hot. It calls for both white and brown sugar along with lemon zest and a healthy amount of fresh ground black pepper. 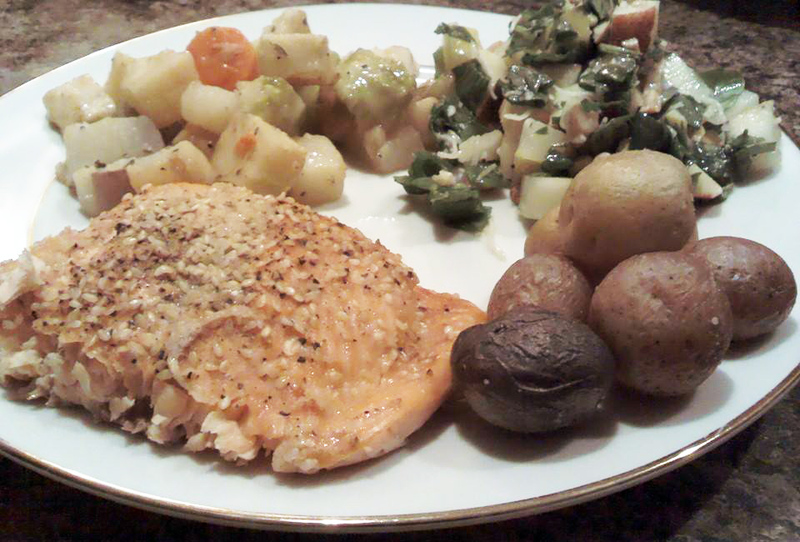 We have a cedar grilling plank, so the salmon was baked on that in the oven. So good! I had pinned this Chocolate Peanut Butter Torte recipe a while ago. I knew I didn’t want to go with traditional cake and ice cream. Then, as I was going through my recipe boards I saw this pin and knew it was the right choice. 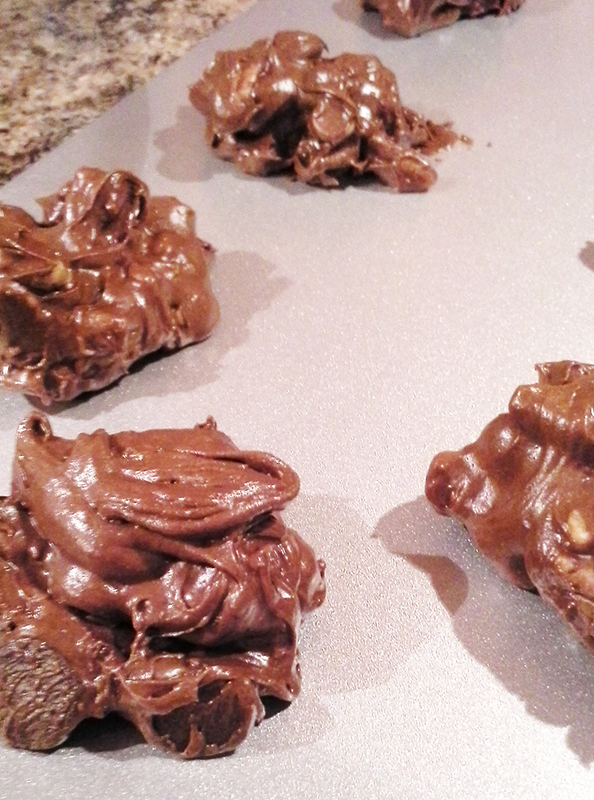 Plus, my mom is a huge peanut butter and chocolate fan. Let’s be real though, who isn’t? I ended up making this dessert the day of the dinner, which means I was putting it in the freezer to set. Luckily that worked out. It was close though. I was putting on the ganache topping only minutes before my parents arrived. In the freezer it went again and it was perfectly set by the time we finished dinner. This was one of my more favorite recent menus. 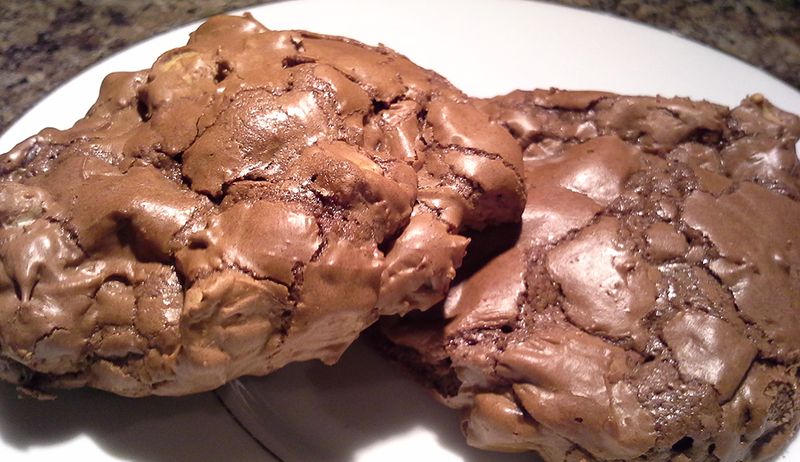 I would make any of these recipes again as they were all fairly easy and turned out wonderfully. Let’s recap on the final menu. Last weekend was a family birthday weekend. I wanted the menu to focus on the flavors of fall. I had been reading through my Ina Garten cookbook, “Back to Basics”. There are quite a few recipes in it that I’ve been wanting to try, especially the side dishes. I knew early on we were having a baked salmon for the main course. What I needed were the sides. I went with a pan-roasted root vegetable recipe in the “Back to Basics” book. It included parsnips, turnips, and celery root; all veggies we hadn’t tried before. Plus, it had brussel sprouts which are probably my most favorite winter veggie. I love them! In addition, I had roasted assorted baby potatoes. I just spray them with olive oil, add a sprinkling of kosher salt and fresh ground pepper and bake till tender. The star of this meal though, surprisingly, was the Autumn Tossed Salad. It was awesome! So awesome that I’ve already made it again this week for dinner. I found it in one of my past Taste of Home Halloween magazines. The recipe called for romaine, but I used spinach. 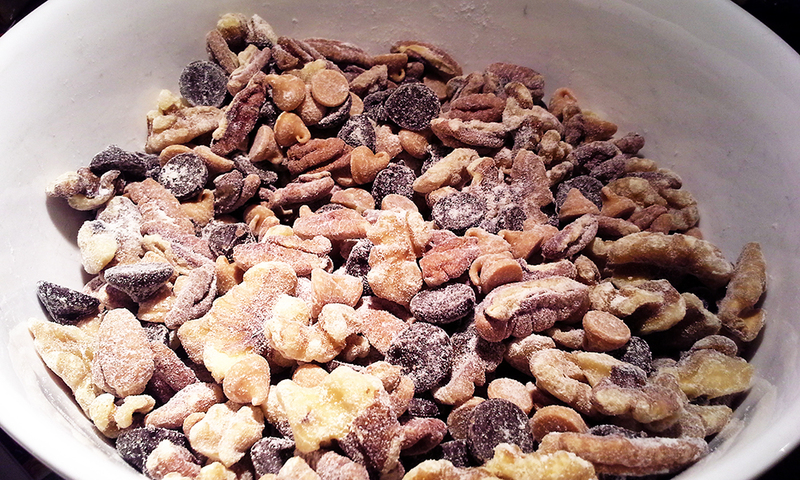 Plus, it had pears, apples, dried cranberries, shredded swiss, and cashews. I used my own vinaigrette recipe with poppy seeds. This salad was super simple to make, especially with my Genius Salad Chopper. This thing rocks! Everything is easily sliced into bite size pieces. If you haven’t seen one of these before go check it out. You will love it. Kudos to my mother-in-law on this gift! Using the Genius to chop the salad. Here’s the lowdown on the full menu. Appetizers: Shrimp Puffs (another great recipe), hot crab dip, and assorted munchies and candies. Main Meal: Roasted Butternut Squash Soup (Back to Basics), Autumn Tossed Salad, Roasted Root Vegetables, Roasted Baby Potatoes, and Roasted Salmon.